I like anime but my [mom, dad, girlfriend, friend, etc.] has never watched anime before. What should I show them? Should You Show Them SAO? My goal in this post is to lay out a number of anime in different genres in order to provide a two-wave guide on how to introduce someone new to the anime genre. Although this is a multi-layered question that somewhat depends on the person who hasn’t watched anime before (how open minded they are, etc. ), quality will still never be beat. The shows that are good are good and the shows that are bad are bad. 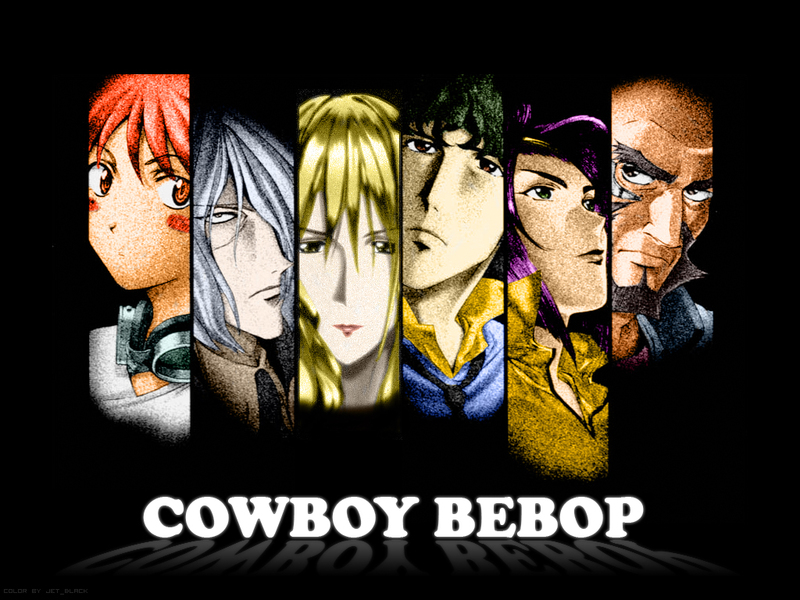 But to just start with the absolute best of the best anime has to offer isn’t necessarily the way to go. The main access barrier to anime is adjusting to and becoming comfortable with the different tropes that populate pretty much every anime show. For example, my parents struggled to understand why characters’ heads would pop up in little bubbles on the screen to talk. I tried to explain the function of the trope, but really it was something that they needed to learn for themselves. Another barrier to introducing people to anime is the preconceptions that people have about it. Most significantly, 1) the mistake assumption that it is only for kids and 2) the portrayal of sexual content. And while both of these concerns have some basis in reality, the best course of action is to find shows that are mature and steer mostly away from fanservice/sexual content and use those as an introduction. The list is a conglomeration of shows I believe to be strong introduction shows to the medium, shows I’ve used in the past to introduce people to the medium, and shows with which I’ve had success introducing people to anime. So, without further delay, let me present my guide to introducing first timers to anime. The first wave is a short list of anime shows, all generally of high quality, that are easily accessible to a first time viewer. They contain themes and stories familiar to a Western audience, avoid fanservice tropes as much as possible, and introduce other anime tropes while keeping those tropes from overtaking the viewing experience. Remember to always keep genre preferences in mind. Why: Gingitsune is my number one recommendation for introducing people to anime. It provides a lens into Japanese culture and religion, contains no fanservice, is heart-warming and family oriented, with just enough fantasy elements to make it different from any Western family genre. Add in a little humor, and Gingitsune becomes a relaxing, fun watch that is sure to draw people in. Why: Toradora! is the best romance anime has to offer, and it does a lot more than just being funny and just jerking tears. 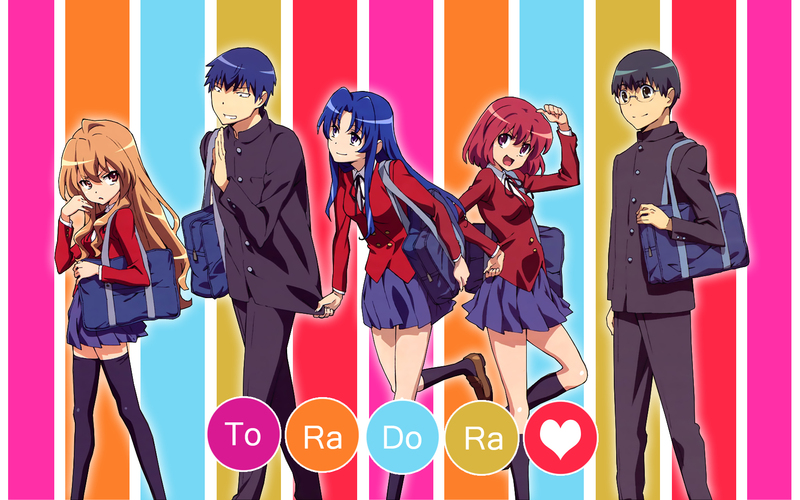 Along with an introduction to some more anime tropes, Toradora! is a beautiful love story that also extends its exploration of the nature of love to familial ties and friendship. With unique, complex and vibrant characters, Toradora! is a great choice for new anime watchers who like romance. Why: The classic shounen action anime, Fullmetal Alchemist: Brotherhood, is probably the best anime with which to introduce action lovers to the genre. As with all great shows, FMA:B transcends its genre and is laden with symbolism, emotion and heart. Brilliant plotted, with extraordinary fights, FMA: B also avoids fanservice and the more annoying anime tropes. 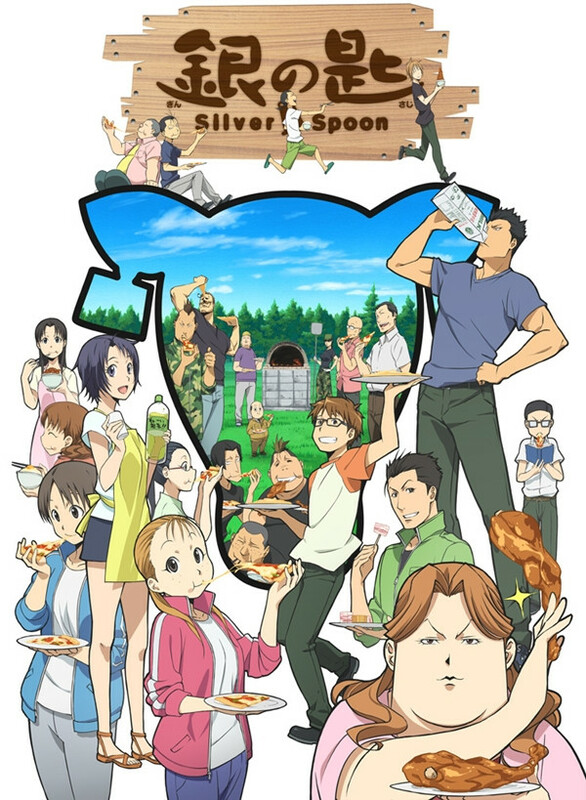 Silver Spoon (Crunchyroll, Hulu): From the same author as Fullmetal Alchemist, Silver Spoon is an honest look at a high school boy’s struggle to grow up. It’s authentic, sometimes funny, sometimes heartwarming, sometimes heartbreaking…but always, always true. Kyousougiga (Crunchyroll): A tour de force of the artistic capabilities of the anime in terms of storytelling, animation and use of the medium itself to create a unique experience that marks this show as uniquely anime. Tari Tari (Crunchyroll): Bright, friendly and totally inoffensive, Tari Tari is another slice-of-life anime, an open-eyed look at the lives of graduating high school seniors, and the power of music and family. Kill Me Baby (Hulu): Not for everyone, but the random slapstick humor of Kill Me Baby is a great introduction to pure comedy anime. Because the comedy is character based, it’s easily relatable to a wide audience, although the occasional dumbness of it may leave some unimpressed. 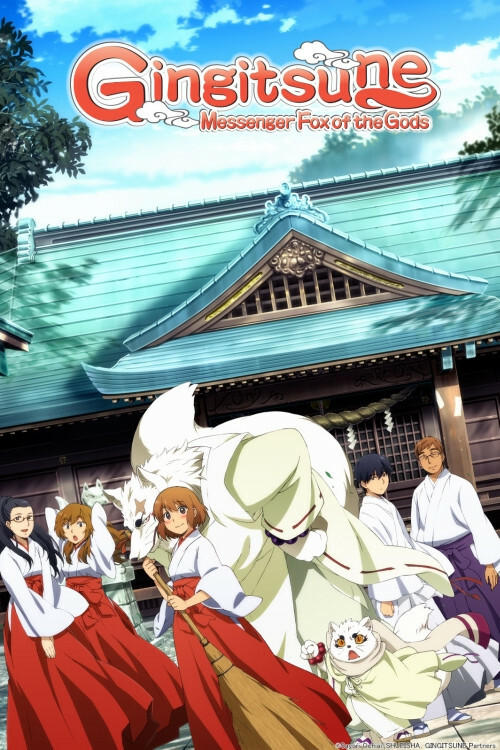 The Eccentric Family (Crunchyroll): A whimsical fantasy trip through the streets of Kyoto, The Eccentric Family is yet another show that is uniquely Japanese and uniquely anime. With a focus on family themes and a lighthearted tone despite deep thematic material, this anime is one of great substance. 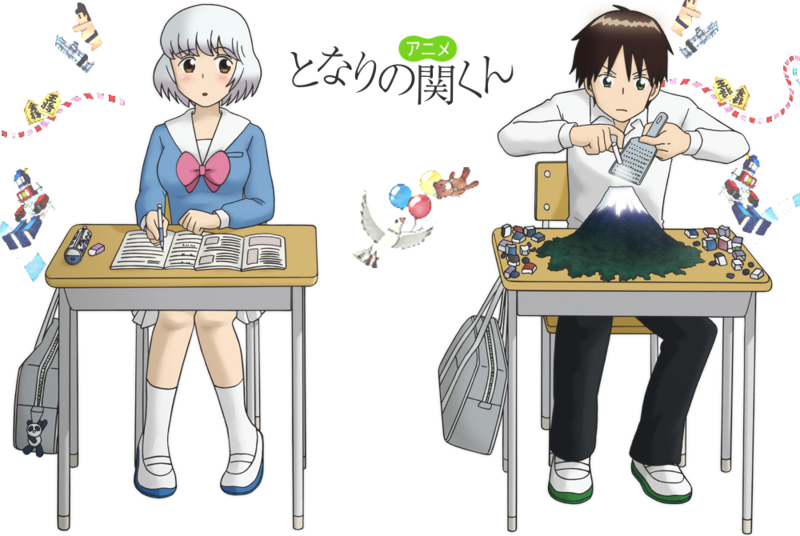 Tonari no Seki-kun (Crunchyroll): A hilarious short anime and a new entry to the list (the show hasn’t even finished airing at the time of this writing), Tonari no Seki-kun is an incredibly accessible comedy that serves both as quality humor and an easy introduction into a few tropes of the genre, including facial expressions. This second wave of shows introduces a few more anime tropes into the mix, and are generally well-received, easily accessible anime. The goal in this wave is acclimation: to tropes, to the method of storytelling, different art styles, genres and the general breadth of the medium. 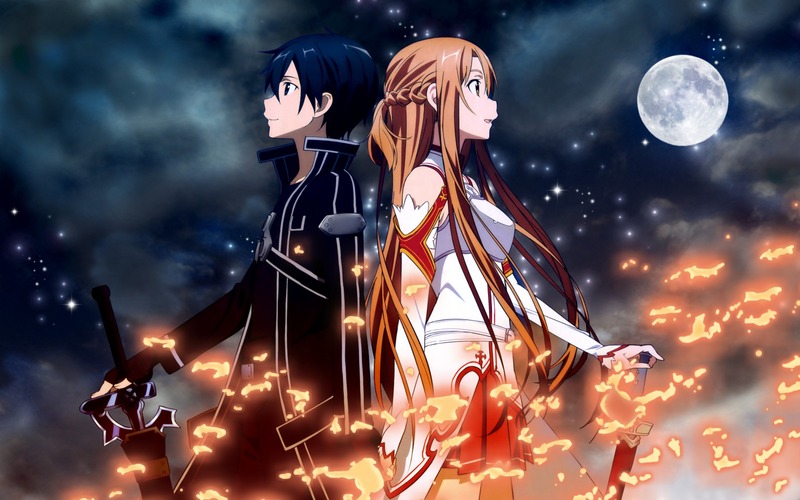 Sword Art Online (Crunchyroll; Hulu): Despite the flack it has taken in the anime community, Sword Art Online is still a easily accessible show, especially to those who have never seen anime before. It’s pretty looking, has relatable archetypal characters and a great soundtrack. And I personally think it’s better than it’s given credit for; so sue me. Angel Beats! (Crunchyroll; Hulu): An emotional show with amazing presentation, Angel Beats! has the emotional resonance to capture a fledgling anime friend and further expose them to the emotional capabilities of the medium. The Devil is a Part-Timer! (Hulu): An enjoyable and light-hearted comedy, The Devil is a Part-Timer! is simply a fun ride through a comedic situation with lovable characters. Due to a few fanservice tropes that crop up and some occasionally crass scenes, it falls into the second wave, but still remains a worthwhile watch on the merits of characters and humor. 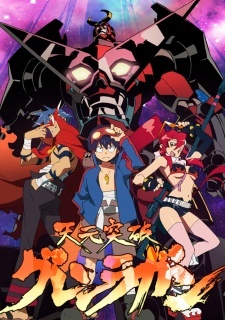 Gurren Lagann (Crunchyroll; Hulu): About the closest you’ll get to anime canon on this list. Because Gurren Lagann is so over the top, it transcends the limitations of its genre. A great choice for actions fans, who will enjoy the bombast of gigantic robots chucking galaxies around like baseballs. Working!! (Crunchyroll): A wonderful workplace comedy focused on character relationships, Working!! or (Wagnaria!!) stands as a bright-eyed example of how good characters can elevate a show. The comedy is stellar and the characters are fun. Soul Eater (Hulu): Another great show for action fans, Soul Eater boasts a varied cast of entertaining characters, as well as great fights and even some thematic materials on the importance of the soul. Attack on Titan (Crunchyroll; Hulu): So, you think anime is for kids? Much like Sword Art Online, Attack on Titan is hugely popular because it appeals to wide demographic, making it a good gateway anime. A little heavy on blood and gore, but if you’re picking show while knowing genre preferences of your potential convert, you’ll know whether or not to use this anime. I am certain there are some reading this saying, “Why was X anime left out? Are you crazy?” Here’s my answer. I can only recommend what I know. Thus, you won’t find Dragonball Z, Sailor Moon, Cowboy Bebop, Neon Genesis Evangelion, Spice & Wolf, or Death Note on this list, because I haven’t seen yet them myself, and I refuse to recommend anything simply based on the hype behind it (justified though it may be). That is not to say that the aforementioned shows cannot be used as great introductions to a first time anime watcher. But, in the words of Hanekawa from the Monogatari series, “I don’t know everything. I only know what I know.” And in my case, I only know about the shows I’ve seen.